Author, speaker, doctor and health industry consultant, Dr Joe Kosterich is a rarity in medicine. He doesn’t want to see you when you are sick. He wants you to be healthy and get the most out of life and will show you how to do so in an entertaining way. In 2003, after attending an international conference he became more interested in what could be done to keep people healthy rather than just assist them when they are sick. This ultimately led to his writing and self-publishing the book Dr Joe’s DIY Health. To help people more with their health he established a website and blog page and publishes a weekly newsletter on health and lifestyle issues. He has built up a big following on social media with close to 40,000 followers on Twitter. 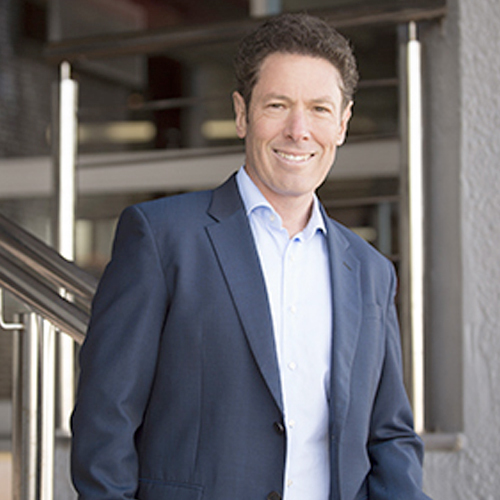 Dr Joe has a weekly health segment on The Today Show on Channel 9 and is seen regularly on Channel 9 News. He writes a regular column for The West Australian and also has a health and wellbeing segment on Radio 6PR and has been 6PR’s ‘Nightline’ and ‘Perth Tonight’ doctor for the last ten years. He has been a guest on numerous American internet radio shows and is a guest contributor on international health and wellbeing websites. He is also Health Ambassador for WA grown Fresh Potatoes. Dr Joe has a regular column in Medical Observer Magazine and is supporting clinical editor of Medical Forum. After graduating from the University of Western Australia Dr Joe did his residency at Royal Perth Hospital before entering General Practice in 1988. He and an associate bought Warwick Grove Medical Centre in 1990. During the 1990s Joe was involved in General Practice Divisions and helped set up Osborne Division (now Perth North Metro Medicare Local) and was its inaugural chairman from 1993 to 1997. He also held a number of positions over five years in the Australian Medical Association and was twice elected chairman of The Federal Council of General Practice. In addition to this he sat on a number of government and industry boards. It was through this that he had his first media appearances and quickly became known as the go to doctor for comment on any health related matter. He wrote columns for Australian Medicine and Australian Doctor magazines as well as doing guest columns for other publications. In 1999 he sold his practice and became involved in the establishment and management of medical centres at a pivotal time in General Practice in Australia. He continues to this day as a consultant to IPN – Australia’s leading manager of general practices. For four years he was a director and part owner of Onsite Health Solutions a provider of wellness services to industry. Dr Joe also worked for nearly twenty years for the Medical Administration of Royal Perth Hospital reviewing files and preparing medico legal reports. He is often called on to give medico-legal opinions for leading law firms and medical defence insurers. Dr Joe is a much sought after speaker. He gives motivational and practical health presentations for the general public and corporations on how to look and feel better. He is a buster of health myths and has a no nonsense and non-preachy approach. He has the unique ability to impart key health messages in an entertaining and informative way. Anti-Ageing for the 21st century. Brain Power – Looking after and harnessing the mind. A Healthy Workforce Equals a Healthy Business. Real Life in the Suburbs – what are the problems which drive us to see the doctor? Ever wondered what goes on behind closed doors in the suburbs? In this entertaining after dinner speech Dr Joe will lift the lid on what ails society and challenges us to think more laterally for solutions. He can also provide specific presentations on both men’s and women’s health issues.